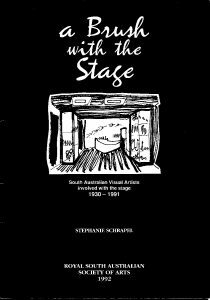 Apart from its own history publications and magazine (Kalori), the Society has a large number of catalogues from its exhibitions and books on South Australian artists for sale from the front desk in its Gallery. 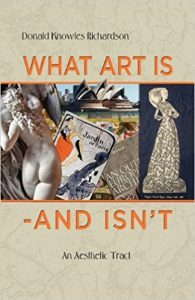 The catalogues include famous modernist artists like Jacqueline Hick, Jeffrey Smart, Dorrit Black and Francis Roy Thompson. 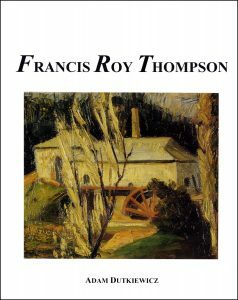 The books include monographs on artists, including all the available titles in Moon Arrow Press’s series Modern Art in South Australia (now 8 titles), as well as biographies or autobiographies of prominent historical figures like John Goodchild, Elizabeth Manley, Mervyn Smith and The Hambidge Sisters, and art history and theory publications. Many of these books are hard to find and not widely distributed. If you know the whereabouts of similar items and would like to see them on sale at the gallery, please contact or ask the Director during offices hours. The Society would be most interested, for example, in selling a book produced on Past President Laurence H Howie.